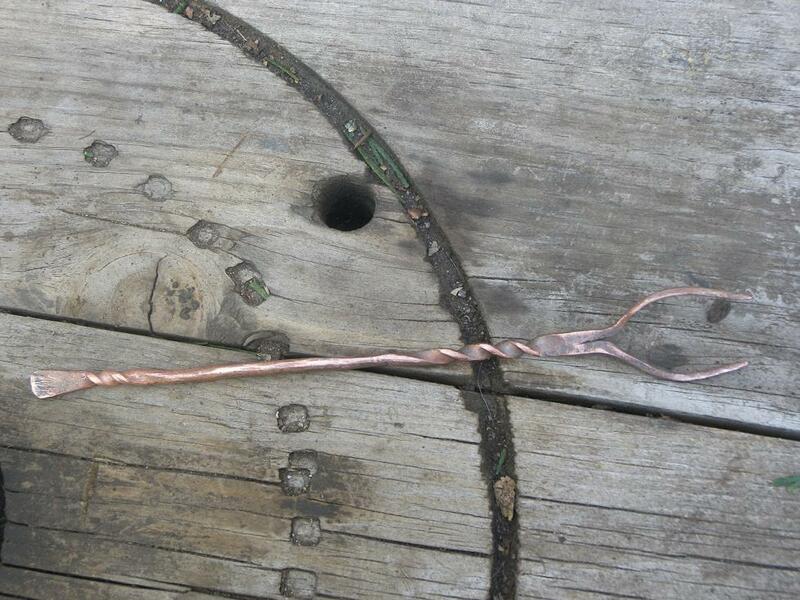 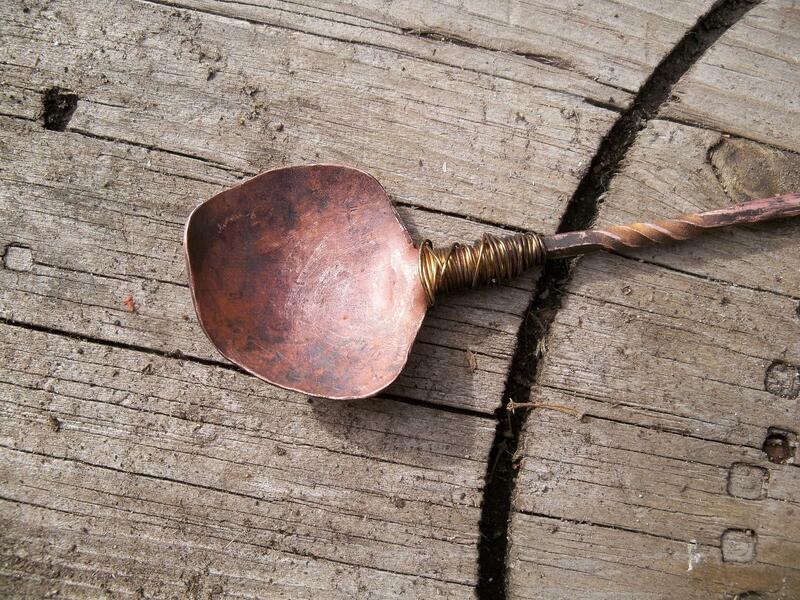 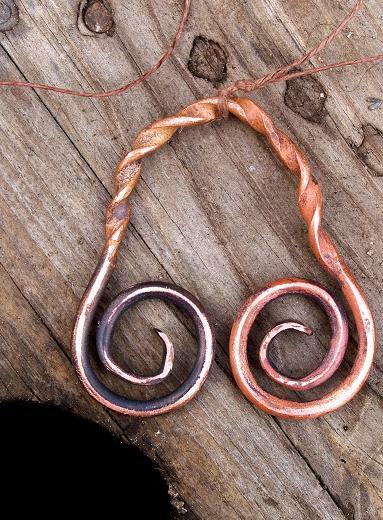 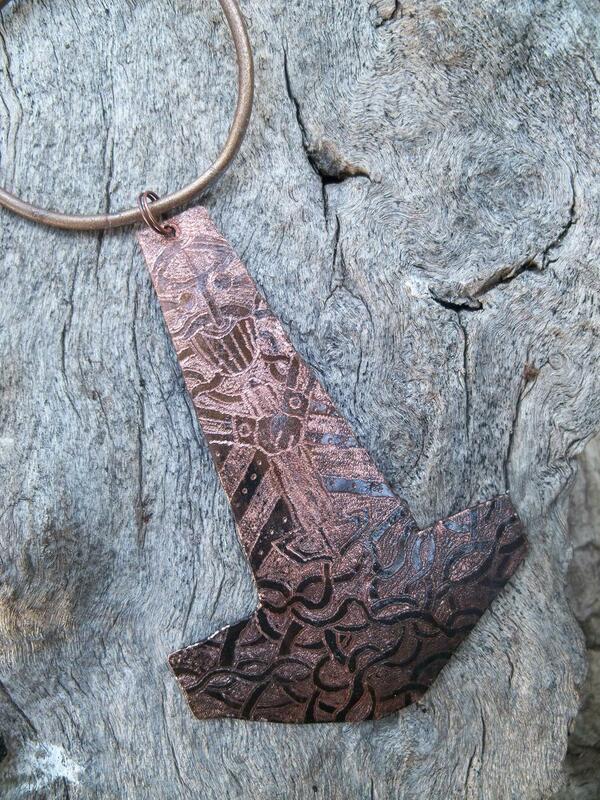 Hand forged copper Thor’s hammer amulet. 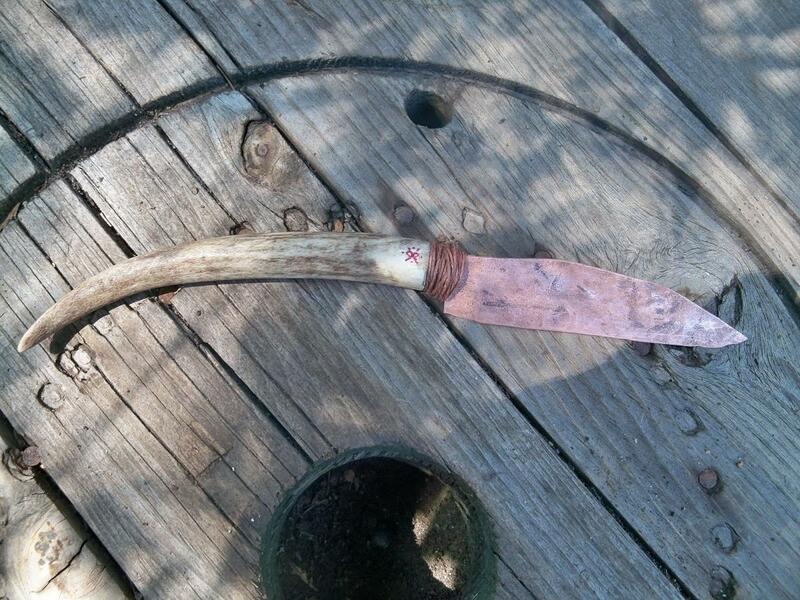 Copper Athame/Seax with Antler Tine. 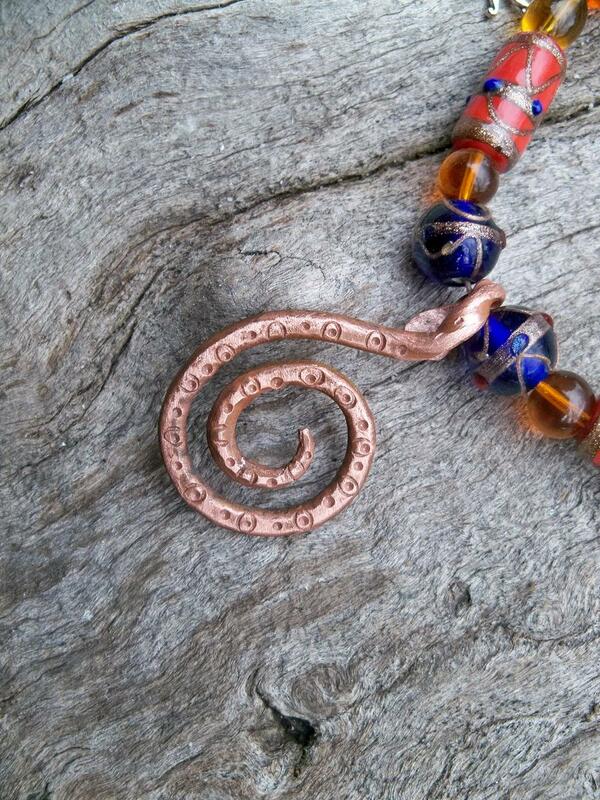 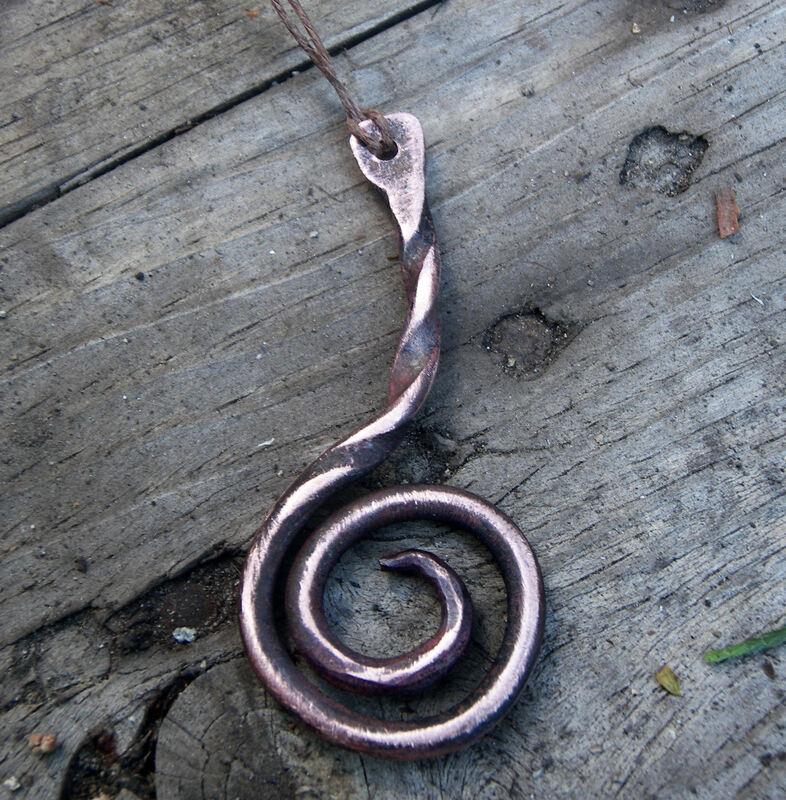 Forged Gotland inspired spiral with mat patina. 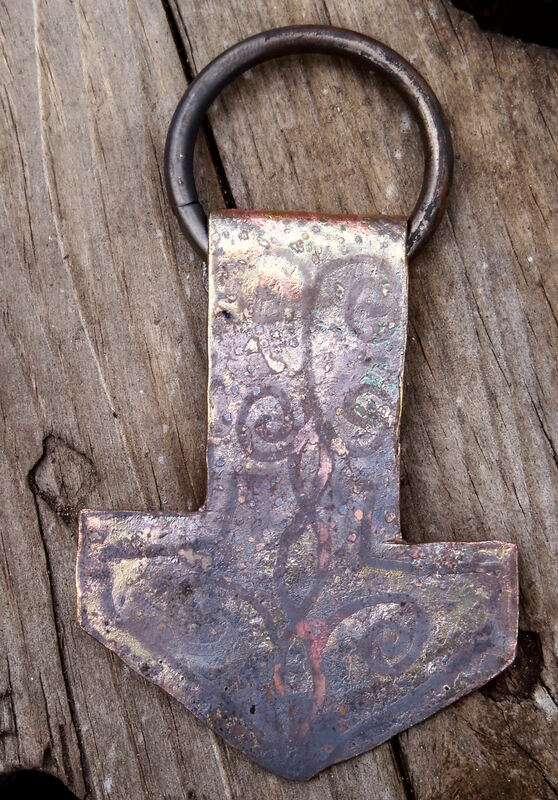 Acid etched Thor’s Hammer with forged ring. 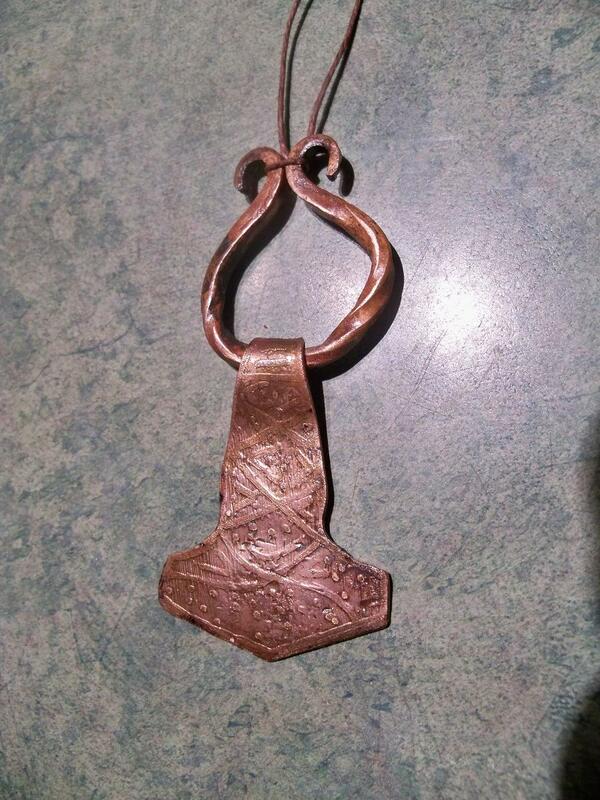 Engraved Thor's hammer. 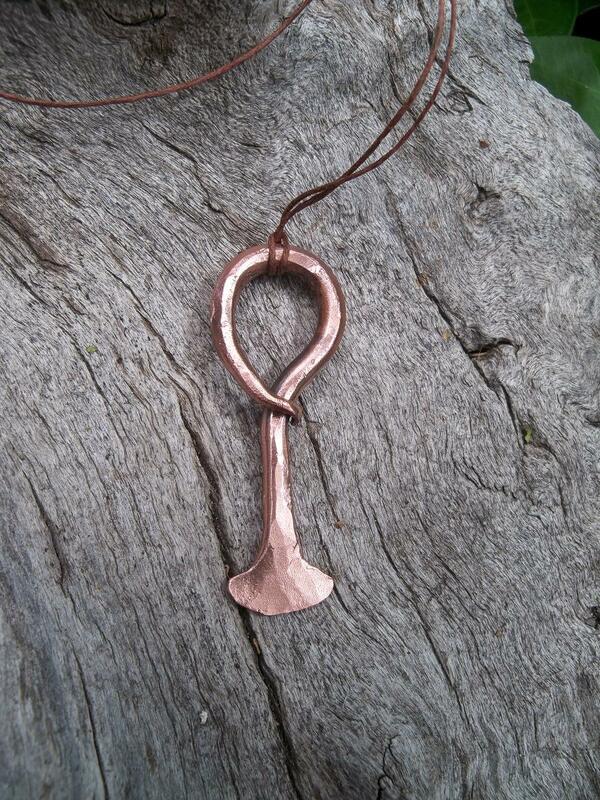 Copper art.Copper Athame. 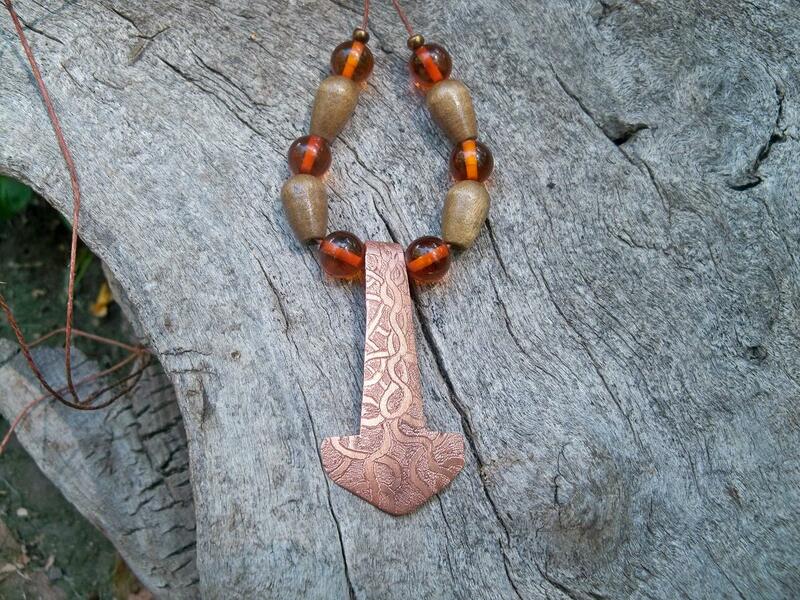 Viking style. 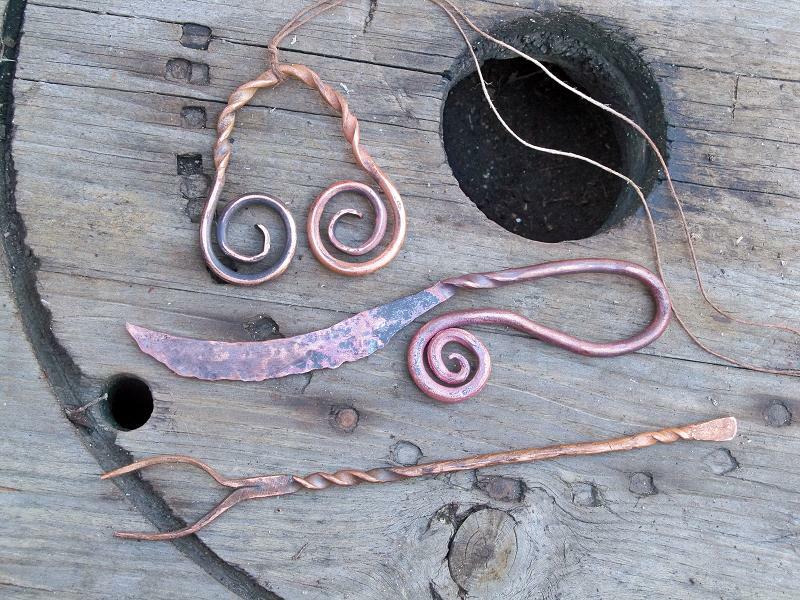 This entry was posted on June 16, 2011 by .. 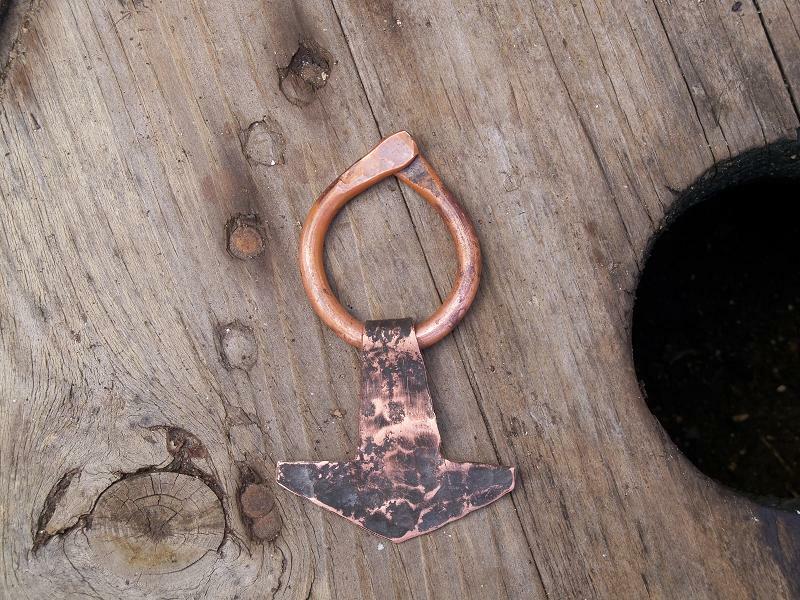 It was filed under Knife making-Blacksmithing and was tagged with athame, bronze age, bronze alloy, copper age, copper daggers, copper work, fired copper, magic, norse, norse dagger, Norse knife, wiccan, witchcraft.